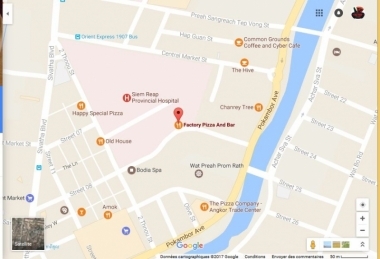 factory pizza and bar, Siem Reap, cambodia. Information, Photos and Reviews. Small restaurant for Dinner in a nice atmosphere. Comme eat Pizza, pasta, dessert, drink beer and cocktail. Near to pub street between pub street and the riverside. The factory best pizza siem reap is a unique place to eat and drink real french pizza and good wine. In front of the pagoda Wat preah prom, you have a great view and a quit place near to pub street. Curry Walla - Siem Reap (0.2 miles) - Serving wide range of Indian and Cambodian food. 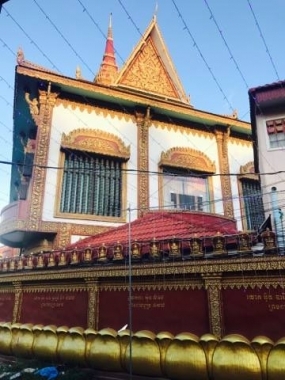 Namaste Spa Siem Reap (0.3 miles) - Providing Massages, Henna tatoo, Scrub, Waxing, facial Massage and hair treatments etc. 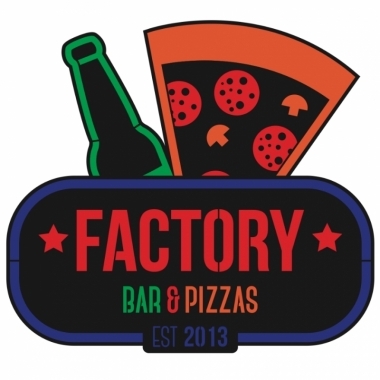 factory pizza and bar is rated 5 out of 5, based on 1 reviews. I ve eaten the best pizza in Siem Reap in this small restaurant near to pub street. The pizza is fantastic and the owner is a nice guy. You are submitting a booking enquiry. 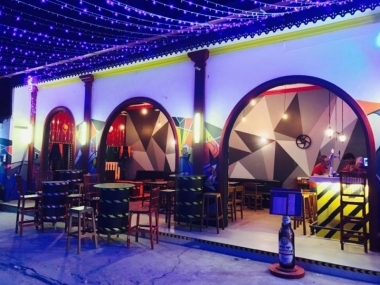 factory pizza and bar will then contact you by email with details of availability and prices.